Members have full access to all the features of this website (see the Members page for details). Display your pride in the Corps! Whether you are dressing up for a night on the town, heading out for a round of golf, or simply sitting back and relaxing with you favorite beverage; these accessories will show your friends and colleagues that you are a proud member of the finest Corps in the Army! Get Your Regimental Ball Tickets Now! 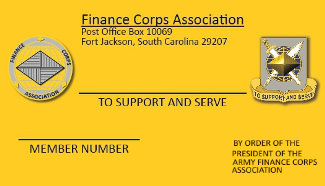 The 2019 Finance Regimental Ball sponsored by the Finance Corps Association tickets are selling quick. Make sure you go purchase a ticket if you have not already. Be a part of this epic night. It is going to be a movie and will be one for the books. Tickets can be purchased using the link below. Use a smartphone. Gov Computers will give you an error due to certificate issues. Log in and check out the current Diamond Points (DP). You must be logged into the FCA website to view, print or download the latest news from the Financial Management Community. We welcome your feedback, articles, and news from around the CORPS. 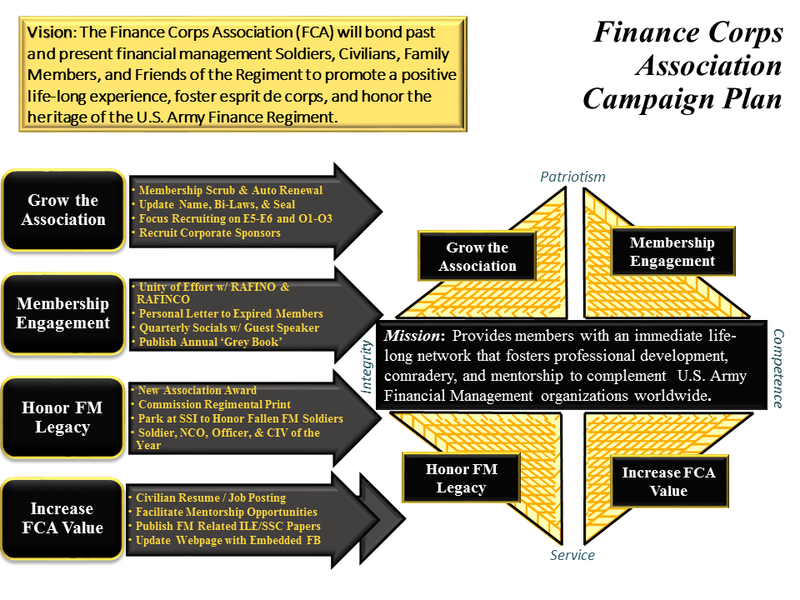 This page is sponsored by the US Army Retired Finance Organization (RAFINO), a non-profit veterans' organization whose members are Army Financial Management soldiers who have or are about to be retired. Every two (even numbered) years, RAFINO puts on a gala Reunion where retired comrades gather to trade war stories, catch up with old friends, and generally have a good time. The next RAFINO reunion is 7-11 Oct 2020 in Charleston, SC. Check out the RAFINO website for more information and our on-line membership application form.